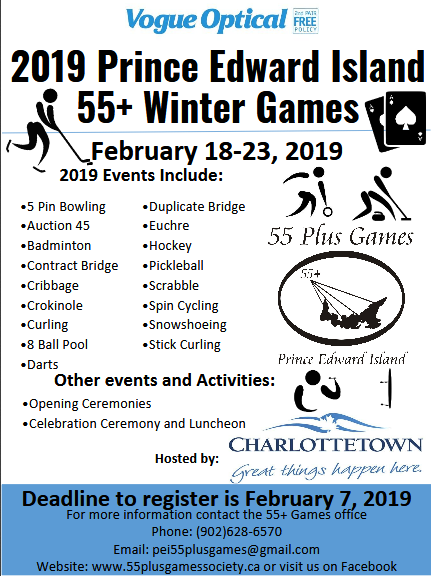 The 2019 55+ Winter Games are being held at various venues across the City of Charlottetown. 5 Pin Bowling, Auction 45, Badminton, Contract Bridge, Cribbage, Crokinole, Curling, 8 Ball Pool, Darts, Duplicate Bridge, Euchre, Hockey, Pickleball, Scrabble, Spin Cycling, Snowshoeing, and Stick Curling. 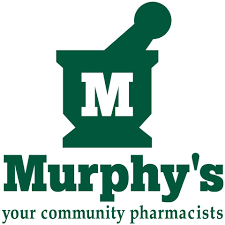 Opening ceremonies will take place at the Charlottetown Curling Club on Monday, February 18th at 9:45am and the Celebration Luncheon is scheduled for Thursday, February 21st at 12:00pm at the Murphy’s Community Centre. For the full schedule please click on the schedule tab! A big thank you goes out to our sponsors for the 2019 55+ Winter Games!